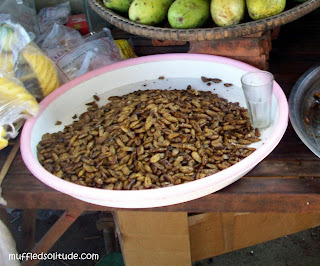 It was such a delight when at a bus stop on our way to Siem Reap we saw some fried insects being sold along with eggs and a variety of fresh fruits . did you try any of these? :-) mukhang masarap yung spiders! OMG! Wala pa akong nasubukan sa mga yan, but I'd like to. =) Which ones did you try?